Reference : JOV (11) #22, J - 41. Size : 18.5 x 19.0 mm. Weight : 0.90 grams. Grade : aVF with some weakness in the inscriptions. This coin has not been countermarked. 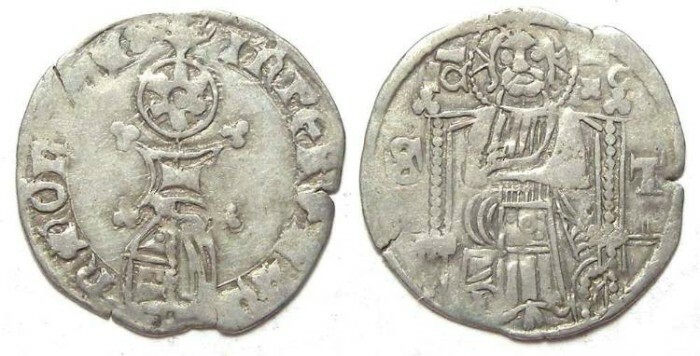 Obverse : Fancy cross with MONITAS INPERATO around.